Anna Skvortsova (Rus Анна Скворцова) and Nana Kurauchi as Flower Girls. Don Quixote, music by Ludwig Minkus, new version by Johan Kobborg. Yacobson Ballet. Shot on 14.12.2017 in the Tovstonogov Bolshoi Drama Theatre, St Petersburg. 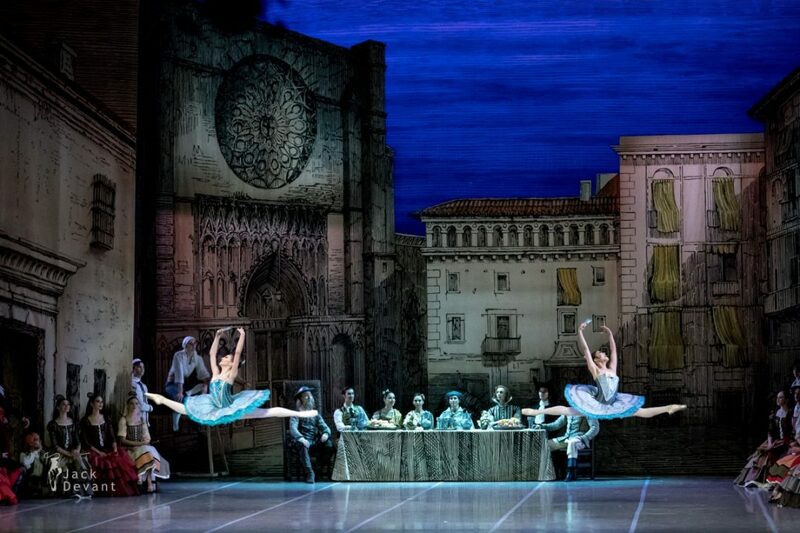 Anna Skvortsova (Rus Анна Скворцова) is currently member of the Corps de Ballet with the Yacobson Ballet. 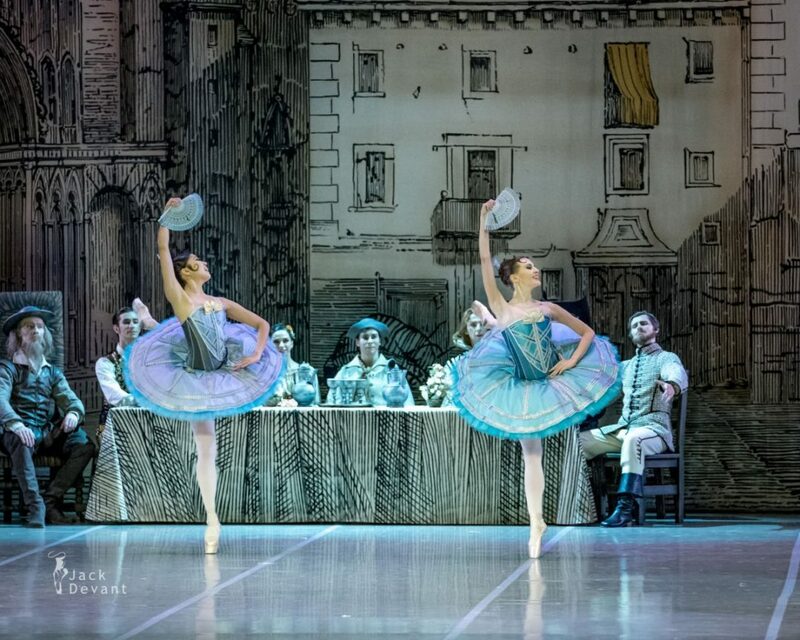 Nana Kurauchi is currently member of the Corps de Ballet with the Yacobson Ballet, St Petersburg. Photos by Jack Devant ballet photography © with kind permission of Yacobson Ballet, Lidia Zernova and Oksana Tokranova special thanks to Johan Kobborg.